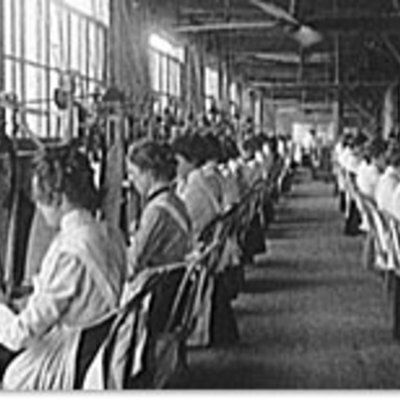 Around 1911, the period of my novel in progress, women in factories generally earned 50-60% of men’s salaries. More than a century later, we are at 77% in factory and non-factory careers. Not much progress. Employers then often paid half of even these depressed wages for a season or more as women were “learning,” even if the job was so menial than little learning was required. Of course now we have unpaid “internships,” so that’s much, much different. . .
A work in a New York cap factory stated: “By working hard we could make an average of about $5 a week. We would have made more but had to provide our own machines, which cost us $45. We are paying for them on the installment plan.” When the factory burned, which was common, those who had somehow paid for their machines had to start all over again. Prices for working women were further depressed by wages for “home work” done at slave wages.